The Zender Agenda: Article: Musical nostalgia: The psychology and neuroscience for song preference and the reminiscence bump. Article: Musical nostalgia: The psychology and neuroscience for song preference and the reminiscence bump. This explains a lot. While I can very much relate (see Guster), I’m always prioritizing new music. Whether that’s conditioning or wiring, I feel rather unique in that way. "And researchers have uncovered evidence that suggests our brains bind us to the music we heard as teenagers more tightly than anything we’ll hear as adults—a connection that doesn’t weaken as we age. 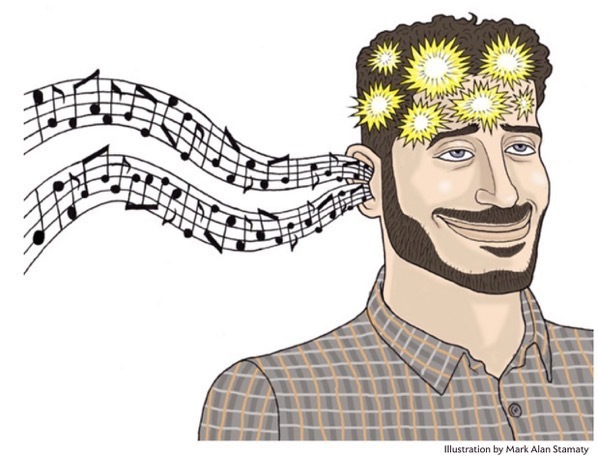 Musical nostalgia, in other words, isn’t just a cultural phenomenon: It’s a neuronic command. And no matter how sophisticated our tastes might otherwise grow to be, our brains may stay jammed on those songs we obsessed over during the high drama of adolescence."